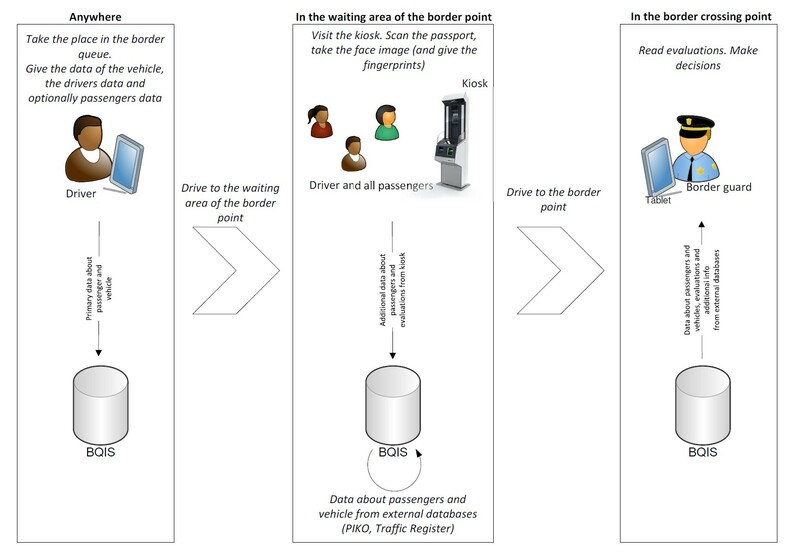 Our Automated Border Gate simplifies and improves the border crossing process for land border checkpoints. Raising the security level and working together with GoSwift’s award winning advance information and Border Queueing Solution. Border authorities face new challenges securing land borders of the EU/Schengen area, while the trends show a significant increase of travelers’ flows. In the meantime, travellers and freight forwarders alike are requiring fast and convenient border crossing, therefore pushing authorities to implement novel approaches in order to maintain or even improve the throughput at crossing points. The aim of this automated solution is to facilitate the work of border guards, ease the border crossing process for the travellers and increase the border throughput without compromising on security requirements. For the frequent travellers, the Automated Border Gates will greatly facilitate the crossing of borders. For the border guards, the Automated Border Gates for frequent travelers will increase the efficiency of the control process, will allow the Border Guards to focus on the high risk tasks and will increase the throughput at the border.